We believe all cancers are the result of frequency changes in the electromagnetic fields as a result of incorrect proportions of elements/minerals to each other, caused by nutritional deficiency, toxic chemicals, radiation, anything that will interfere with the electromagnetic fields influencing the natural bonding of elements within cells, all chemistries within the body. These changes affect how nervous system/communication functions and how minerals are available to manufacture cells, hormones, and other chemistries for various bodily functions. Mineral/elemental deficiencies causes compromised mineral availability for manufacture, causing structural changes in the amino acids, hormones, biofeedback communication, all cellular nutritional mechanisms, DNA instructions and replication, causing a change in chemistry & cellular manufacturing instructions and supply - known as a Mutation. EXTREMELY IMPORTANT - To properly understand, we need to understand the simple aspects which lead to the results, which will be good or bad depending on the volume and proportions of various minerals to each other. First, we need to look at the "Periodic Chart", the list of all known single elements in chemistry, also known as "Minerals", such as Calcium, Carbon, Sodium, etc. Each will have a positive or negative charge and a specific frequency. To understand the POSITIVE (Proton) and NEGATIVE (Electron) charges, the energy (Energy Force) will attract or repel (Reject) another charge. If the elements have the same charge, both having a positive or a negative, charge, they will not attract each other, instead, they will repel each other. On the Periodic Chart. The elements are arranged with the minimal charge and frequency at one upper corner, and the opposite will have the most opposite. The most extreme opposite elements will have the strongest attraction, the elements closest to each other will be the strongest repulsion because they are similar and will not attract to each other. To properly understand the FREQUENCY - we need to understand the wave of Energy, causing electronic charge. The wave is the cycle, like a horizontal "S" - Measurement starts at the mid-point, the wave goes up, then down, and back up to the midpoint, repeating the cycle. The distance the wave travels horizontally per cycle is the "Wavelength". The measurement to compare wavelengths to each other is in "HERTZ". The measurement reflects how many wavelengths (number of Cycles) per standard distance. 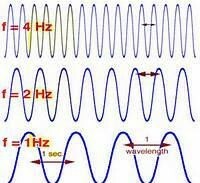 The measurement of the number of wavelengths in the set distance is called "FREQUENCY", measured in "Hertz". The electrons spin at a specific speed. 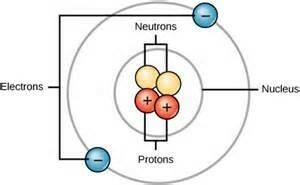 Elements which have speeds that will coordinate with the electron speed of other elements will cause a strong attraction. Those which do not coordinate will have a weaker bond. When the environmental atmosphere includes the correct proportions of the other minerals, the electronic field will support and enhance the bond strength. When the environmental atmosphere contains incorrect proportions, and/or toxic elements with electronic charges that will interfere with the bonding strength, the Bonding strength will be less or non-existent. If different or toxic elements have a bonding strength stronger than the existing bond in the incorrect environment, the bonding will be replaced by the toxic or incorrect elements. The only method to correct this event is to correct the mineral proportions to cause the electromagnetic field to no longer support the incorrect bonding and to support the intended bonding, then the incorrect bonding will separate to be replaced by the correct bonding with the correct elements. Using toxic chemicals to kill or separate an incorrect bonding will be temporary. The newly changed electromagnetic Field is still not the correct electromagnetic field because synthetic/un-natural/toxic and incorrect elements were used, resulting in new but still incorrect bonding, which are called "Side effects". Nobody "Reverse Engineered" to determine the root source of the initiation of the cause of the problem, causing new problems from side effects will develop. They call it "Disease or Cancer Progression" instead of realizing that the treatment caused the results. Different element/mineral combinations are compounds, the negative and positive charges, and frequencies, are matched, resulting in a specific electronic energy. A "Salt" is a compound with only one positive charge and one negative charge, like sodium (+) and Chloride (-), to create a matched equilibrium. Various compounds put together are molecules, many molecules make up various chemistries, vitamins, blood components, water, 20 different amino acids, hormones, etc. The body is simply a collection of all these elements/minerals combined in various chemistries, known as the "Molecular Lumberyard" (ML). When reactions take place, the ML is the supply source. When the ML contains all the minerals in the body, in their correct proportion to each other, the electromagnetic field energy is correct, causing the correct attractions and repulsions to occur, causing the correct "Domino Effect" reactions within that electromagnetic atmosphere to occur. "pH" is an indicator only of electromagnetic fields, it is an indicator, not an achievement. The pH readings do not specifically indicate whether the chemistry relationships are correct or not. Many different chemistry relationships, whether the relationships are correct or extremely in-correct, can show the same pH. Some people incorrectly provide high amounts of alkaline products to create a desired pH level, however, the pH does not indicate whether the chemistry is properly balanced, it only indicates the chemistries combined provide a specific pH reading. You can have various unbalanced negative and positive minerals and chemistries, adding a high amount of alkaline products, all incorrect levels, can still provide a desired pH level despite the extremely unbalanced proportions, giving a false sense of balance. A person can still have cancer with a normal pH if the chemistry is alkaline but still out of balance. By properly balancing the minerals in their proper proportions to each other, the pH will naturally be normal, and the bodily functions will naturally react and respond correctly because the electromagnetic fields will be correct to cause the desired reactions. This is an example of natural form of " Action Causes Reaction "
Each of the 46 chromosomes in DNA are a long arrangement of thousands of amino acids, each having an electromagnetic field to react or repel with chemistries, which is the basis of the " Action Causes Reaction " events. Each of the 46 Chromosomes is a different arrangement to make the DNA. Each DNA is the same in the same person, but different from the next person, similar within families. The DNA reacts with chemistry it is in contact with, as long as the attraction/repulsion is correct. If enough of the cells or chemistries exist, the electronic field will be weak, which will prevent a reaction from taking place. If the volume is low, the electronic field will be correct for the DNA to react with the chemistry supplied by the ML supply, "Action Causes Reaction" takes place. This clearly fits the definition of a Mutation. Let's look at it a different way. Ultrasound is a good example, it emits specific frequencies to break-up bonding between cells and chemistries, and the changed atmosphere caused by the ultrasound causes the elements to re-bond differently as a result of the changed atmosphere. We can take chemistries in their natural state, use specific ultrasound frequencies, causing these chemistries to break up their cellular structure, because the environment is not correct to its natural state, it would re-bond in a different manner and be different from that original structure. Mutations are simply different cells generated by environmental changes, which changed the element stability I a different electromagnetic field, causing cells to be manufactured differently. Most will not be able to survive the results caused by the environmental changes, however, some changes benefit the survival in the changed environment, which is the basis of evolution, cancer is the mutation of the changes that do not survive. However, by correcting the elemental/mineral proportions to restore the electromagnetivity back too normal, the corrected environment will restore correct function, and the incorrect cells previously made will not survive in the corrected environment. If the ML includes too little or too much of a specific mineral, or includes un-natural chemistries with the potential to interfere with the correct electronic field in the molecular lumber yard, the electromagnetic field will be altered, causing an incorrect attraction/repulsion between chemistries to occur, causing incorrect reactions to take place. This can cause certain minerals to maintain a weak bonding, causing release of the bond, incorrectly replaced with minerals it would not normally bind with, prevent or weaken many minerals from binding with minerals it would normally bind with, causing many minerals to be incorrectly chelated out of the body, causing increased mineral deficiency, increasing the unbalanced Chemistry, which can alter the DNA chemistry, causing altered instructions & prevent the natural reactions from taking place, resulting in incorrect cell & chemistry manufacture. During the reaction, if some required minerals are missing, or at a low volume, or not available for use, the altered electromagnetic attraction will attract something similar in shape, size, and electronic character. The resulting amino acid, hormone, chemistry or cell is manufactured differently from normal. When the amino acid is manufactured differently, the amino acid structure is slightly different. As a result, the electromagnetics of the chromosome will be different where ever that altered amino acid is located in the arrangements in each chromosome. The modified DNA is mutated, the instructions have changed, causing a mutated cell or chemistry. Because the amino acid arrangement is different in each person, the location will be different in each person, causing each person to have a different electromagnetic alteration, causing each person to respond differently to the same deficiency, but similar within families. This is how mutated cells are developed. This change alters DNA instructions, which causes the body to manufacture mutated cells, hormones & chemistry differently, in a mass production method. When a doctor sees that "differently manufactured cell", they call it a tumor or cancer, and remove it as though that is the disease instead of the result. Meanwhile, the root cause was never determined nor addressed. If hormones are made incorrectly, their communication is not correct, causing incorrect responses, such as: diabetes, high cholesterol, high blood pressure, etc. In reality, these are not diseases because the body created them as a result of the mutated incorrect instructions as a result of incorrect chemistry. The only way to eliminate the problem is to correct the cause of the deficiency to correct the chemistry reactions to cause correct instructions. The material will be available for manufacture, the previously made incorrect cell cannot survive and dies off naturally with no chemicals or surgery. Because they never corrected the chemistry, nor DNA instructions, the body continues to manufacture the mutated cells based on the incorrect DNA instructions which were never corrected. When it becomes large enough to be recognized, the doctors say, " Gee, it came back again !!!" It did not come back, they simply removed the result of the problem, not the cause. The body continued to make more without interruption due to the un-corrected DNA. Chemo and radiation will kill the cancer, as well as other parts of the body. Chemical treatments not natural to the body will change the electromagnetic attraction/repel relationships between cells and intensify the mutations. Toxic/chemical can prevent reactions which should take place and cause reactions which should not take place. The Chemicals will chelate more minerals out of the body, causing increased mineral deficiency. This will further deviate normal domino-effect pathways and result in advanced alterations further from normal than the previous incorrect generations. This result causes the already deficient chemistry in the body to become more deficient, causing further deviation. These deviations increase the structural changes of the amino acids, hormones and chemistries. The further deviated mutated structures cause the DNA to provide instructions further deviated from normal than the previous generation. The next generation of cells, amino acids and hormones will be even further from correct. Then the doctor says, "It came back with aggression !!!". So, they attack with more aggressive treatments. This causes a spiral of related advanced deficiency causing deviation further from normal, increasing the mutation. Eventually, the increasingly severe results cause death. When the patient passes away, the medical society writes it as "complications due to aggressive cancer." The true cause was toxic effects from the incorrect and un-natural treatments, causing the body to change how it makes the cells and chemistries, which lead to the result- death. The correct strategy is to restore the chemistries by providing all the minerals in the body in their correct proportion to each other so that the frequency relationships correct themselves, causing the body to correctly restructure the amino acids, hormones and chemistries, which corrects the DNA instructions from the natural single elemental level and provide the correct material needed at the elemental level to manufacture the correct cells and chemistries. The pH will become normal as a natural event, as the pH is an indicator, not a remedy. Upon correcting these deficiencies, the body will correct the individual mineral placements, causing the Electromagnetic atmosphere, frequency attractions and correct bonding to take place, resulting in corrected Amino Acid, hormone and chemistry structures. The domino-effect responses will correct themselves to restore normal functions. The DNA structure and replication will be corrected, resulting in corrected DNA instructions, corrected hormone communication, along with correct biochemistry availability for the body to correctly manufacture cells, their cellular function should be restored to normal. Because the "ECO SYSTEM" has been corrected, which pH should now be correct, the cancer cells and other incorrect cells and chemistries will no longer be able to survive in the corrected system because the previous in-correct environmental factors within the body's chemistry that supported the incorrect cancer cell metabolism are now no longer available for the incorrect cancer cells and chemistries. The corrected Eco system has no nutrition available for the incorrect cells, which simply die off in a natural manner due to their own starvation. There is no need to kill cancer nor any other "incorrect" cells, they die as a natural occurrence, like algae in a swimming pool. The communication system is comprised of: nerve cells, hormones, & lymph nodes. Their functions are interactive electromagnetically through attraction/repulsion forces. However, the medical field tends not to acknowledge this involvement nor incorrect involvement, and how they are relative to nutritional deprivation, as the cause of many illnesses. The natural response to this deprivation is that the nervous system is further nutritionally starved by conventional treatments chelating more needed minerals out of the body. Although treatments can hinder cancer or "disease" progression initially, the body's electromagnetic communication re-evaluates the environment and produces new cells in response to the further depleted environment causing changed DNA instructions to deviate further from normal. In most cases this unbalanced chemistry tends to cause a more acidic environment, therefore lower pH, supporting increased mutated cell nutrition & development availability, & hinders normal cell metabolism. We hear that the "cancer is now more aggressive" instead of realizing that the treatment may have killed the initial cancer cells, but, the treatment also altered the biochemical environment to nutritionally support the body to manufacture additional incorrect/cancer/mutated cells more rapidly. Killing cancer cells is not the answer. How can you kill a cell made by the body as per DNA instructions without expecting the body to manufacture more after you killed it???? The "cancer" cell is the result of the problem, not the cause. Therefore, upon killing the cancer cell, "the result of the cause", the cause was never addressed nor corrected. Because the cause was never corrected, nothing corrected the electromagnetic and frequency environments, the unchanged incorrect environment continued to support the sequences that took place to manufacture the cancer cell. Therefore, the body continues to manufacture cancer cells uninterrupted. Over time, the body produces more cancer cells, the doctors then say, "Gee, it came back. How did that happen? We got all of it out!" They did not realize that they removed the "result" of the condition instead of determining and correcting the "Initiating Cause". Killing the cancer also weakens and kills normal cells and causes biochemical stress, including mineral chelation, taking needed minerals out of the body. Nothing positive is gained. We found that proper nutritional restoration to the nervous system and cell nutrition throughout the body causes corrective domino-effect reactions. Upon nutritional correction, the body resumes correct DNA instructions leading to correct cell production. When the body’s environmental factors are correct, the body no longer manufactures the cancer cells, the existing cancer cells are no longer able to exist in the corrected environment and die in a natural manner and are eventually replaced by normal cells. When the cancer cells die, or go necrotic, they remain and show up on CT & MRI scans, however, PET scans indicate that they are dead cells because the dead cells no longer uptake glucose. The body will eventually break them down, it takes time. Standard cancer treatment’s high failure rate is due to treating resulting symptoms instead of correcting the initial root cause. If the cause is never addressed nor corrected, the DNA instructions are not corrected. Therefore, the progress continues because nothing corrected the pathway. In addition, most conventional treatments produce toxic side effects which enhance the environment to increase cancer production instead of reducing production. We are showing that if you correct the initial root cause, the domino effect reactions cause the body to make the corrective steps, resolve the problem, and restore normalcy. Most cancer patients, in general, never take into consideration their incorrect diet, lifestyle nor spinal dislocations. Preservatives in our foods prevent metabolism, when you eat that food, the body cannot metabolize it, therefore, although tasty, the nutrition is not absorbed. The chemistry in preservatives are chemicals which cause mineral depletion. The depletion takes time to generate changes in effects. Exercise has been replaced by convenience, blood circulation is minimized and therefore, natural metabolism is reduced because of reduced exercise. The body produces acid to break down all foods, simple sugar, carbohydrates and proteins, high protein being the highest complexity to break down. The end result of this process enters into the blood stream as glucose (a sugar). Normal cells uptake a specific amount of sugar for normal metabolism. A cancer cell uptakes twice the normal amount for its metabolism. The old wives tale "avoid eating sugar because sugar feeds cancer" is misleading because avoiding sugar to totally to "STARVE CANCER" also starves the normal cells more severely, resulting in additional biochemical stress to the body. Because everything you eat is broken down and introduced to the body as glucose, the wives' tale is impossible. Eat smart and use the "1900 Diet"- make believe the year is 1900. How did they prepare food back then?? Avoid anything preserved, salted, in a can, jar or sealed package. It is fine to eat the very few naturally preserved foods, there are not many naturally preserved. Avoid prepared food because they have flavor enhancers, usually MSG, and preservatives to give a shelf-life. Avoid nutrition drinks such as BOOST, PROSURE or ENSURE because they contain the "B" vitamins and iron, which have the potential to accelerate cancer progression. Avoid hydroponically grown food. Eat organically grown quality foods. The body requires 3-6 ounces of red meat weekly for enzymes. Some people replace with soy, a fad product which biochemically does not replace meat enzymes. A mixture of different meats and fish are best to get a more effective blend of proper nutrition. Cookies or cakes should be either freshly made or purchased at a high quality bakery, if it goes stale in 2 hours, that is good. To minimize acid production, start meals with carbohydrates, then protein and finish with a carbohydrate. Coffee and chocolate are in the highest protein classification because of its bean character, caffeine is not the concern. Avoid caffeine-free because it is an acidic broken radical. Coffee should be eliminated totally, chocolate either eliminate or minimize. Avoid all alcohol, it reduces calcium metabolism, chelates minerals out of the body, disrupts natural biochemistry, blocks nutrition to nerve cells and stresses the liver. Alcohol is advertised like it is a soft drink, yet causes a very long list of major health problems. The problem with SOY is that it contains proteins that convert to MSG. Because MSG must be included on the label, and people will not purchase anything containing MSG, they now use "Soy" because people do not realize that soy converts to MSG. Therefore, people will purchase products with "Soy" or "Soy Lecithin" or any Soy products, as they are not aware that the body converts it to MSG. That is the way to avoid having to state MSG on the label. People do not realize that SOY is extremely damaging to the liver and related organs, can cause liver & pancreatic pain, even organ failure. Some are extracting those proteins out of Soy, making "Soy Lecithin", to avoid the conversion. Soy Lecithin is now commonly used as a mixing emulsifier, especially with chocolate. The sad fact is that you can only extract a maximum of 70%, at best, from the soy, therefore, soy lecithin generates at least 30% or more MSG compared to regular Soy. Although Soy and Soy Lecithin have been used for many years in cooking, recently included in lecithin form as an emulsifying agent, it should be banned because it is a tool to avoid including "MSG" on their label, increasing the potential of devastating health problems. We need honest manufacturers. Lactose intolerance is due to unbalanced biochemistry causing the body to be unable to properly metabolize lactose. Instead of masking the imbalance, it should be corrected. Whole milk is one of the most nutritionally valuable items to drink. The feared issues are not accurate and there are important nutritional factors not found elsewhere. When the biochemistry is properly balanced, lactose metabolism is automatically correct and the issues and concerns no longer exist. Avoid Skim, Low-Fat, 2%, 1% and similar type products. The chemical extraction process makes it toxic, and depletes the nutrition. The body's metabolism ability is the problem, not fat. Avoid nutritional supplements that replace chemistries that the body naturally manufactures, especially D3. The body will recognize the supplement and interpret that there is enough and shut down its own manufacture, which then depletes the natural supply, causing a short term benefit and long term increased deprivation. As a result some natural processes are prevented from taking place, and chemistries not being utilized will be put into storage and develop abnormally high levels as a result of "lack of use". Cholesterol is part of the chain of reactions to convert vitamin D to D3. Therefore, taking synthetic vitamin D3 causes the cholesterol to not be used and high cholesterol levels will develop. Many people are told that their pain is due to cancer progression. In a large percentage of cancer patients, the pain is due to muscle spasms caused by mineral deficiencies that were never corrected, which can advance to causing disc rotating out of alignment, affecting nerves and muscles, resulting in pinched nerves in the spine. Almost all doctors never look at nor inspect the spine; they do not attend to it. Instead, the pain is treated as though it were cancer related, spurring a vicious cycle of incorrect pain treatments, causing a snow ball effect in increased severity without correcting the initial source of the problem, most commonly - pinched nerves in the spine. Yet, they are told it is cancer progression instead of toxic side effects from the treatments and total lack of attention to the root source of the problem. We have seen patients who were previously receiving pain management, then go for a spinal alignment, walk out with reduced or no pain. Proper nutrition and spinal adjustments cause good results. Pain is caused by the body releasing lactic acid to send a signal to the brain that a cell is not receiving nutrition. Each cell gets nutrition through blood flow. When you get a cut, the other side does not receive nutrition, which is why you do not feel pain immediately upon getting cut. However, certain nerve receptors might be triggered and the body's reflex will react to the cut. Otherwise, there is no pain at first because the biofeedback has not determined the lack of nutrition yet. When the cell has been depleted of nutrition, it will release lactic acid, which triggers the nerve to send a message to the brain, and causes swelling in the affected area. When your stomach is empty, and requires nutrition, it sends messages to the brain, we then have hunger pain. Upon eating, the lactic acid is mixed with the nutrition and used, which stops the message to the brain, causing the pain to diminish and go away. When we have a cut, the blood does not provide nutrition to cells on the other side. When the brain provides the message through pain, we use pain killers instead of providing the nutrition the body is asking for. After the pain wears off, the nutrition still has not been provided, therefore, the pain returns. As healing occurs, the area is starting to receive nutrition, causing the pain to reduce until the flow is back to normal, which then there would be no pain. Some areas are sore a while until all healing mechanisms are complete. Upon an injury, mixing vitamin E and Cod liver oil should provide enough nutrition to satisfy the nutrition requirements to stop the lactic acid release and satisfy the body, then the pain will diminish and there should be little or no swelling nor inflammation. A tumor is the result of an incorrect chemistry requiring abnormal nutrition and taking nutrition away from other cells for its own nutrition. Pain killers will temporarily stop the pain like masking tape. As the pain killer wears off, the area that did not receive the nutrition it asked for, now needs more nutrition than it did before, causing a higher level of pain than previously. We incorrectly interpret that pain is getting worse due to progression. The increased pain "due to progression" is actually due to the lack of satisfying the body’s request for nutrition to resolve the problem. Providing specific nutrition for good cells and correcting the amino acid deficiency helps to correct the ECO SYSTEM for the good cells, causing the incorrect cells to die off and break down because they cannot survive in the "corrected" ECO SYSTEM. The result is that the good cells have correct nutrition and have stopped releasing lactic acid, the incorrect cells have released lactic acid because they are not receiving nutrition, which causes swelling until they die off from their own starvation. This swelling process is why animals swell when they die. Eventually, the incorrect cells will die off. As a result, the reduced lactic acid reduces messages to the brain requesting nutrition until it eventually stops. The dead cells will remain while the body breaks it down. During this time, X-Rays, CT and MRI scans will show it as a mass and give a false indication of active cancer. A PET scan will reveal it as necrotic (dead) tissue. As lactic acid reduces, pain reduces as the body breaks down the dead incorrect cells, which eventually reduce. The good cells continue to improve. Each of the 46 chromosomes includes an arrangement of thousands of amino acids, each row is different from the other. Each person has a different arrangement. However, at the end of each chromosome, there is an arrangement which is the same arrangement in every chromosome in every cell in the same person, it is like a serial number to that person. It is called a "PHENOTYPE". Each person has their own arrangement, all the same within the body, but different for each person. Each different type cell has a specific protein as part of its structure which acts as an identifier. Testing the blood for this protein will provide information of how many of the cells are in the body, indicated by the number of these proteins per million (PPM). These are called markers. A magnet has a positive (+) charge at one end, a negative (-) charge at the other end. If you put two magnets together with both of the same charges (+ +) or (- -), they repel each other. If you put the opposite charges together (- +), they will attract to each other and have a strong bond. Each mineral has a specific frequency, which is the wavelength of their energy, the combination of their polarity charge (+) charge or (-) charge in addition to their frequency, determines their ability to attract or repel specific minerals. When the mineral proportions to each other are correct, the electromagnetic atmosphere is correct, the desired reactions & repulsions will occur. When mineral proportions to each other are not correct, electromagnetic field will be incorrect, causing incorrect attraction, reactions and repulsions, causing incorrect results to occur. The immunity is based on cells which travel through the body comparing the phenotype with every cell it comes in contact with. If the other cell is made by the body, it will have the same phenotype, therefore, it will have the same charge and frequency. Because identical electronic charges repel each other, the immunity will become repelled and move on. When the immunity approaches a cell which the body did not manufacture (invader), that other cell will have a different phenotype, therefore a different charge and frequency, causing the immunity to become attracted to it and latch on to it. Then the immunity senses the protein of the invader, creating a "Mirror Protein" by bringing minerals of opposite charges to the invader’s protein to fully bind to it, making it neutral and non-effective. This way, the invader can do no harm to the body, it cannot get nutrition because it’s communication ability has been neutralized, cannot send nor receive information nor biofeedback. The invader dies off, or at least becomes useless. Chemo was created based on imitating the immunity because they incorrectly believed that cancer was an outside invader attacking the body. If that were true, our own body’s immunity would have attacked the cancer like any other invader, which does not happen. Because a cancer cell has its own specific protein, each chemo was designed with its own "Mirror Image" protein to attract to specific cancer cells in effort to bind to the cancer cell and kill the cancer cell in the same way the immunity does to an invader. Initially, this process works because it will bind with the "Mirror Image" protein to neutralize the electronic capacity of that cell to cause the cancer cell to die by its own starvation. Initially, the intended cancer cells will respond as planned and die. During this process, cancer marker numbers will start to reduce because the cancer cells are becoming destroyed by the chemo and the number of proteins relative to the cancer have been reduced as a result, as the cancer markers will show. However, chemo also attaches, damages and kills other non-cancer cells. Because of the high un-natural chemical content in chemo, it also offsets the biochemistry balance in the body, interfering with the natural attraction/repulsion sequences, interferes with the electromagnetism within the body and between cells. This causes natural reactions to be hindered, reduces biochemical communication, incorrectly chelates needed minerals out of the body. The molecular lumberyard has become more deficient than it was previously. The changes in the structures are more deviated than before, causing the next generation to be further away than normal than the previous generations were. The phenotype of chemo, or any chemical or un-natural treatment, is different from the rest of the body, causing the immunity attract to it as an outside invader. The immunity will attach to the chemo and start to make the "Mirror Image" proteins to render the chemo useless, which is why chemos tend not to work after a few months, the immunity binds it, neutralizes it so it cannot communicate and prevents it from working. It will not die like a cell because it is chemistry, not a living cell. The initial chemo chemical will be out of the blood stream in about two weeks, but it will stay in the tissues and organs for about 18 months and will have some effect, especially causing additional liver damage in addition to offsetting the mineral proportions to each other and electromagnetic field. The electromagnetic attraction/repulsion will cause the immunity to make "Mirror Image" proteins of the chemo’s protein, which were "Mirror Image" proteins of proteins found in the cancer. A "Mirror" of a "Mirror" is equal to the "Original". The protein made by the immunity is the same protein found in the cancer cell. The proteins are not cancerous, but are the same protein. Because a "Cancer Marker test" is simply counting the proteins, PPM, it will include the number of proteins found in the immunity added to the proteins found in the cancer cells because they are the same. This causes a false indication. Some doctors do understand this, most doctors incorrectly interpret that the cancer has spread, then add more chemo. When autopsies are done, showing no evidence of cancer, the doctors who incorrectly interpret it say, "I know the cancer is in there; look at those cancer markers." They don't understand. After chemo has been started, cancer markers are no longer valid because of the false reading they provide due to this reason. There is a strong correlation between Gemzar/ 5FU and ascites, toxicity, blood clots and depression. Not everyone responds this way; those who are sensitive tend to react this way. Urine pH reflects the Net alkaline/acid chemistry without the bicarbonate the body uses to maintain normal pH in blood. The blood needs to be 7.35 - 7.45 to properly function, adding bicarbonate as needed to maintain that range. The kidney extracts the bicarbonate out of the blood to utilize it again when needed. The urine then reflects the blood pH with the bicarbonate: the "Net pH". Saliva pH is not accurate for body chemistry indication because it reflects chemistry related to digestive biochemical responses and will change according to what the body senses as you eat, as the chemistry in the food or drinks will react with specific sensory glands, which will release specific digestive chemistries to break down the foods. The diet and choice of foods causing these reactions will affect saliva pH and therefore influence progress or hindrance of metabolism of certain foods, which is why the volume of correct nutrients is important. Some people incorrectly focus on pH only instead of the mineral proportions to each other and they regulate their nutritional intake solely by their pH, which is not a correct procedure. pH is an indicator reflecting many causes, it is not a symptom. When the urine pH is below 7.0, it appears that the body chemistry is more conducive to cancer cell survival. The accurate reason is that a properly balanced molecular lumberyard will cause a proper energy flow, causing an alkaline result of 7.4. Unfortunately some people focus on the pH instead of the ingredients & symptoms. Many people incorrectly believe that 6.5 is normal, not correct. Because so many people are nutritionally deprived, many are down at that level, so society declares that normal instead of understanding the need to improve health. We observed that cancer markers do not properly reflect cancer status. Chemical intervention such as hormone or Chemotherapy toxicity can cause false indications in either direction. At first, a chemotherapy is introduced to the body to kill cancer cells. After a few months, the body recognizes it as an un-natural chemistry, therefore, an invader. Over time, the body's responding immunity develops a chemistry to eliminate this "preditorial" chemistry (chemotherapy), rendering the chemo less effective. The enzymes and immunological chemistry eventually becomes picked up by the cancer marker, and is interpreted as an indication of cancer. The marker shows increased numbers, which the doctors incorrectly interpret as cancer progression. In response, they add more chemo to overpower the "advanced cancer progression". The chemo toxicity increases and a vicious cycle leads to the patient’s death. Meanwhile, an autopsy shows that there was "no evidence of cancer." Morphine generates an addiction. It contains complex proteins which the body creates strong acids to break it down into an extremely large volume of glucose. When the high volume of glucose is produced, the biofeedback causes the body to stop breaking down the other proteins to glucose, which is why a drug addict is not hungry. As the body becomes depleted of glucose, memory cells remember the source of the high volume of glucose, and that is when the addiction kicks in. Because of the high glucose volume, the pain reduces dramatically, pain increases when the glucose level is low again, the addiction calls for more glucose, the person is addicted, looking for more of the drug. The body becomes calm at first, then the morphine effectiveness weakens, causing a stronger requirement for increased pain due to withdrawal symptoms. This gradually increases until the overdose causes biofeedback shutdown, the body shuts down and the person dies. Meanwhile, the family was told that the cancer became more aggressive and consumed the body. The accurate fact is that they turned the patient into a drug addict, requiring more morphine until they died from the overdose. The family becomes so distraught that they accept it and never question the accuracy nor do they request an autopsy to verify the statements. We found that by correcting the mineral proportions to each other, the electromagnetic field causes the body to restart processing the other proteins to start breaking down into glucose again. As a result, the glucose level does not reduce to a low level, therefore, biofeedback is not looking for additional glucose supply, therefore, the addiction does not kick in. The person is usually no longer in the intense pain and looking for the drug after a week or so. Many of the cancer patients on this program who did pass away died because of the other toxic treatments interfering and offsetting the mineral proportions in the body, and the results of incorrect diagnosis due to incorrect testing formats. While the doctors refer to the problems as "Cancer Progression", the accurate cause was chemo or other chemical toxicity and/or morphine overdose, not cancer. Autopsies on many verified "no evidence of cancer." Those without previous therapy appear to respond to the nutritional correction program faster and more effectively. Cancer patients do not tend to take into consideration that their diet and lifestyle requires attention and needs improvements. Pain is blamed on the cancer instead of negative reactions caused by the food that they should not have eaten, in addition to applied toxic treatments. We are showing cancer to be a mutation, not an outside invader. Dosage 6 or 8 showed dramatically better results than of dosage 4. Cancer patients with aortic/vein/liver involvement and without other previous treatments showed stable but slower improvements. In addition, they felt numerous improvements overall. We observed that cancer markers do not properly reflect cancer status. Chemical intervention such as Chemotherapy toxicity can cause false indications. At first, a chemotherapy is introduced to the body to kill cancer cells. After a few months, the body recognizes it as an un-natural chemistry, therefore, an invader. Over time, the responding immunity develops a chemistry to eliminate this "preditorial" chemistry (chemotherapy), rendering the chemo less effective. The enzymes and immunological chemistry eventually becomes picked up by the cancer marker as an indication of cancer. The marker shows increased numbers, which the doctors incorrectly interpret as cancer progression. In response, they add more chemo to overpower the advanced cancer progression. The chemo toxicity increases and a vicious cycle leads to the patient’s death. Meanwhile, an autopsy shows that there was little or no cancer evident. The families are usually too upset to understand this. Based on the relative links between pH, calcium, parathyroid function and cancer initiation, the body’s biochemistry is simple "domino effect" of "action causes reaction". To properly treat cancer, the effective treatment must affect the domino effect from the beginning, which will cause the rest of the reactions to follow suit instead of coming in at the middle of the domino run. The Parathyroid is relative to calcium metabolism, linked to the body’s pH. Proving this link, parathyroid treatment may be of value towards effective cancer treatment. My sister and I both had parathyroid problems in our younger years, doctors were not concerned. It’s important to examine calcium & pH levels as well as parathyroid function. Less than 10% of cancer patients had thyroid exams. The body is a simple machine of "action causes reaction". We as a society make it complicated by adding strange "Un - Natural" items to the body, called medicine, altering the body’s natural biochemistry instead of looking at its simplicity and sticking to the basics of natural chemistry. My research implies that cancer initiation does not involve the blood stream at all, does not spread in a seed-like manner as currently implied. Instead, it is generated via the autonomic nervous system (ANS) and pH environment, relative to nutritional deficiency. Current testing techniques, including radiation, will not detect cancer until cancer replication is so great that the immunities developed to fight it appear in the tests. Blood tests only reveal symptomatic results, not the actual cause, current medical practices treat symptoms instead of the source. Until the source is corrected, it will continue to produce continued results, current treatments will only redirect the path it takes because it never addressed the root source of the cause. The cause is the result of the nutritional deficiency altering the environmental source, which, upon re-establishing the correct nutritional levels in the body, the environment would be corrected for normal body functions and no longer be provisional to the cancer’s survival, the cancer will soon die as a result. Due to genetics, each person has different vulnerabilities to different deficiencies, therefore, genetics will determine the type of cancer vulnerability. A note of interest: to this day, I never saw a person who had both cancer and multiple sclerosis, MS responds favorably to this same program, so I am interested to see whether MS is part of the genetic vulnerability as cancer is, as well as other ailments. Many non-cancer illnesses respond to this treatment as well. With age, our ability to metabolize calcium (Ca++) diminishes, relative to an unstable pH. Ca is required for cellular respiration involving different electrical charges, and attraction/ repulsion. A specific electronic atmosphere generated by the ANS is required for the reaction, essential for proper DNA replication, Krebb’s cycle. The 7.4 pH factor provides proper atmosphere and environment. When acidic, +/- reactions will be hindered or too rapid. Low Ca concentration at the respiration sites triggers a biofeedback to cause calcium to be extracted from bone tissue replaced into the bloodstream to satisfy respiration requirements, resulting in osteoporosis. A higher proportion of women with osteoporosis have breast cancer, men with prostate cancer by the same deficiencies leading to those domino effects to those results. Improper electronic fields infer incorrect DNA replication, deriving a mutated cell. The incorrect replication continues, flourishing because of the acidic environment, while the proper cells hinder due to faltered respiration while not at their electronic potential, unable to compete with the mutated cell. I believe cancer is not a virus nor an outside invader, instead, our body responds as a biochemical response, simply provide the minerals so the body can properly resolve it. Calcium and pH seem to be major components for the proper function of the autonomic nervous system. When the myelin sheath is weakened, the voltage change affects the ganglion sites. Each person is different as to which ganglion "hub" would be vulnerable, the electronic atmosphere is altered at the cellular respiration sites, resulting in altered respiration and genetic replication. Specific ganglions provide the route to affect specific body parts, and pain level, as nerve sensory trunks are prevalent in some ganglion routes and not in others. My research suggests that gastric cancer is derived from the celiac ganglion "hub", affecting digestive organs, mesenteric ganglion affects the kidney/ bladder; these same ganglions affect the location of a person’s disc deterioration; Gastric cancer vulnerability reflects T5 -12. L1, 2 & 3 by the next ganglion; L4 & 5 by the tail end of the Superior Cervical ganglion. Radiation treatments, photonic applications, attempt to decompose the atomic structure of the mutated atom, via alkaline environment, the mutated cell cannot survive, therefore dies, similar to applying lye to bacteria. Photons break the bonds of surrounding compounds such as calcium, through diffraction, chelates the calcium, which becomes non-effective and is dismissed out the body via kidney. High radiation exposure can relate to bone &teeth problems, hair turning prematurely white, high doses of calcium prior to treatment result in a lesser negative effect. It appears that the source (ANS) is not being positively affected by the conventional treatments, whereby, Antibodies,Radiation, & Chemo attack the symptoms, not the source. With the source properly treated, the domino effect corrects itself, tumor will diminish. Raising pH to 7.4 or a bit higher, calcium up to at least 9.7 - 10.0, destroys the ability for cancer to survive, it shrinks, after which the body will function at its normal potential, restored like a reverse domino effect. However, a high calcium level does not indicate proper calcium metabolism, as it can be ineffective and rendered useless due to nutritional deficiencies causing hindered metabolism, and therefore circulates in a useless fashion and yet it is assumed useful because it indicates its presence. My sister, Diana, was declared psychosomatic for 10 years for her pain until an endoscopy revealed a malignant tumor in 1997. I explained the route it took over the years, the route it was going to take, and told them how it to treat it, her doctors were not interested. Instead, they gave her radiation and chemo at the same time. The path it took was exactly as per my prediction, much to their surprise. Neither blood nor barium tests revealed anything until stage 4, which then was too late, those tests only act as markers at that point. The preliminary tests should ONLY investigate the autonomic system at first, which is capable of indication at earlier stages. ANS testing is more accurate, probably cheaper and less discomforting than all the other tests and most importantly, is more accurate than any other test. Genetic therapy is basically an electron voltage regulation within the DNA structure, relative to the different ladderistic levels. A composed inter-electrical relationship is maintained. Duplication is derived by the electronic field introducing similar ionic fields to accompany the replication, resulting in a replication. Compounds derived from altered electronic atmosphere and component availability will generate a similar but not correct compound that will be accepted by the electrical relationship, the effect is a mutated gene with similar but not accurate description. Blocking vessel growth is impossible when you think about it. Mechanically, the electronic atmosphere required for the necessary chemical reactions to cause proper cellular respiration is altered or diminished, causing the cells to die as a result of cellular starvation. In addition, the body will generate new blood vessels as needed to function. A nearby thunderstorm causes tingling effects within our body, electronic surge similar to the electron environment within our body to initiate chemical reactions. ANS is the comparable source to the electrical storm. External influences directly affect our genetically determined vulnerability, and our chance of being affected. If all the external and internal conditions are correct, the vulnerability will have no effect because vulnerability only applies when specific conditions are not correct, causing us to respond based on that vulnerability, different per person, I strongly believe that the non-insulated high tension wires have a high potential of altering our natural electronic environment. Society believes that if one cannot see the movement of an object, it therefore does not exist. The photonic effect is very strong. Cancer related illness resolution can be simple & cost effective. Alcohol, caffeine, and nicotine strip calcium out of the body as chelating agents, inducing an acidic pH, promoting the environment to initiate cancer. Also, smoke damages biological tissue, which affects the pH and immune system, as does the alcohol and caffeine. Alcohol is a huge contributor towards increasing acidity. The black tea does not cause negative effects, it influences a higher calcium metabolism. Genetic factors determine which areas are vulnerable to calcium weakness. Mental attitude is important, stress will encourage a high acid pH; calmness and tranquility will encourage alkalinity. A stressed out person drinking coffee, smoking, and drinking alcohol will be most prone to a cancer vulnerability. Those who never abused themselves with smoking, alcohol, or drugs will have better chance of fighting or reversing cancer, as their bodies will be more responsive to treatment because their tissues and organs are in their best functioning condition. While discussing my sister Diana's earlier symptoms, she said the doctors noted that discs T-5, T-6, T-7 showed degeneration, while discs T-1 thru T-4 showed good density and no problem. Later on cancer was evident in T- 5 thru T-9, which are related to the celiac plexus nerve hub; no cancer was evident in T-1 thru T-4 because they are fed by a different nerve hub and were provided proper communication and nutrition and maintained good density. The program has shown great results by initiating the balance needed to maintain the proper levels of functional calcium, pH levels, endocrine system, triglycerides and cholesterol, etc. The pH levels are indicators and will automatically rise when the other conditions are correct. By adding substances designed only to raise the pH without the proper balance or proportion to each other causes a false indication and false function, with either a short term or no effect. Particular herbs and compound need to be broken down, they may be good, but do not necessarily provide to create the balanced proportions. Too much Vitamin E will thin blood only when mineral proportions are not correct with each other. When Vitamin E is included with other minerals, all in correct proportion to each other, even at extreme high volume - there is no toxic level. Toxic levels of natural minerals only reflects "out of proportion" with the other minerals. An important key is to realize that providing ALL of the minerals in their correct proportions to each other provides the body the ability to correct the domino effect reactions and chemistries that were conveniently determined and classified as " diseases ". By correcting these proportions, the functional restorations take place in a natural manner causing the problems to properly resolve in a natural manner with no toxic side effects. Hormonal functions correct their communication, causing corrected functions throughout the body such as cardiac, pancreas (diabetes numbers correct themselves), thyroid and various glands show improved function, as well as many other organs. Down's Syndrome usually is directly related to the mother usually being older with reduce mineral metabolism. Upon providing the corrected mineral proportions, the development corrects itself. Other illnessses that have shown improvement with corrected mineral balance are: Multiple Sclerosis, Parkinson’s, Graves, Lymes, Lupus, Hepatitis "C", Epstein Barre, Guillian Barre, diabetes, glaucoma, hypertension, asthma, various allergies, ADHD, manic depression. We have also seen the protein synthesis in drug addicts become corrected in drug/ alcohol/ tobacco addiction. They are usually no longer interested in the drug/alcohol after 1 - 2 weeks, even if it is directly in front of them. Our focus is "Action Causes Reaction". Reaction is solely based on the material provided in its most correct proportions to each other to cause the corrected domino effect reactions. Whatever the mineral proportions are to each other will determine how the body will respond to that given environment. Changing the primary material proportions and availability will alter the domino effects to cause a different result. The result will be either good or bad, depending on the actual proportions and availability. The primary problem is that society treats the result instead of correcting the initial source or root of the problem. By correcting the initial material, the domino effect corrects itself, causing the correct result. Environmental factors can also affect and cause the initial responses to change the domino effects, whether it is temperature, change of foods, radioactive (like Chernobyl accident) poor diet, toxic treatments, toxic lifestyle. These "Non - Natural" effects can alter the body’s electromagnetism, changing the domino effect reactions, changing DNA instructions to cause the body to manufactures cells and chemistries differently. This explains "Mutation". A mutation is simply a change in how the DNA instructs the body to make a cell. 10% of the mutations are actually improvements, and 90% are negative and harmful. The 10% are what we call "Evolution", a species will adapt to their changed environment as the environmental changes cause their DNA to change instructions. The animals with that mutation will survive that environment because it is more suited to that environment and will thrive better. As time continues, of the many mutations, the mutations which improve the living compatibility to the environment will survive. The term "Survival of the fittest" reflects that. "Mutation" is simply DNA changes influenced by environmental changes. The favorable changes flourish and survive better than previous generations. The unfavorable changes cause reduced function, causing reduced survival, most do not survive the changes & die. That is what a "Cancer Cell" or "Incorrect Cell" is - an environmentally affected cell or chemistry. It's function and survival is based on the changes affecting it compared to the previous generation before the changes. There are many mutations resulting from various constantly occurring environmental changes resulting from various nutritional/ environmental/ emotional conditions. These changes can cause DNA changes. The changes which are negative range from what society call "Illness" like sinus conditions, diabetes, diverticulitis, colitis, PMS, infertility, cardiac problems, cancers. Sugar is strongly mis-understood. Cancer does not "Feed on Sugar". The body contains "Functional Cells" and "Data Cells". The brain cells are data cells, requiring a constant flow of huge amounts of glucose daily, abut 120g daily, the brain is usually provided with a constant supply of glucose, accounting for some 60% of the utilization of glucose by the whole body in the resting state. The brain must also synthesize neurotransmitters and their receptors to propagate nerve impulses. Functional cells contain a wider variety of minerals in its content because of the functions it provides. Data cells utilize a small variety of minerals but a much higher volume of glucose than a functional cell. Because of the high energy function, it has a faster replication time as well because of the high energy it utilizes. Upon altered DNA instructions, when a deficiency occurs causing the body unable to manufacture the functional cell due to missing minerals required for manufacture, the body compromises and utilizes DNA information from the data cell to complete the ability to manufacture that cell. A "MUTATED CELL" is the combination of a functional cell with the data cell to allow manufacture completion. When they see the mutated cell, they call it a cancer cell because the high glucose usage and faster replication time, they describe it as "Aggressive" and that it "Feeds on Sugar". These are the results of mutations. Toxic applications provide short term benefits, the long term effect tends to intensify the mutation, which society refers to as "Disease Progression". The most effective resolution is to simply correct the environment which caused the body to produce the incorrect cell or chemistry. After the environment is corrected, the "incorrectly made cell or chemistry" cannot survive in the corrected environment and will die from its own starvation. Society does not seem to understand that cancer and non-cancer conditions are mutations caused by incorrect a biochemistry, not outside invaders. Upon correcting the biochemistry, domino effects are corrected, results are corrected. Upon resolution, the incorrect cells die off and incorrect chemistries are either broken down and changed to corrected chemistries or chelated out of the body. The body is a simple machine of "Action causes Reaction"
totally dependent of what you supply it to cause the initiating "Action" to "Cause" the "Reaction"
If you simply look up history and evolution, you will see how animal nature evolved over time. It shows how environmental changes took place, there were many mutations relative to those environmental changes. The mutations that provided improved lifestyle resulting from the changed environment resulted in the ability to improve survival and provided the ability to reproduce with those changes. The mutations which caused negative affects to the lifestyle resulting from the changed environment resulted in failure to survive, which prevented ability to reproduce with those changes. The mutation which caused the negative affects describes cancer as well as the non-cancerous conditions we refer to as "Disease". Society's approach is symptomatic masking tape instead of providing corrective applications to resolve to root source of the initiation of the problem. The body compromised and used what was available to create the cells. The solution is to provide natural minerals in their correct proportions to each other so that the body can utilize the Molecular Lumber Yard for the material supply and to naturally generate the correct natural electromagnetic field to cause the correct reactions and domino effects, to cause the correct DNA instructions, to cause the body to a manufacture the correct cells and chemistries. The corrected electromagnetic environment will become the wrong environment for the existing incorrect cells and chemistries, causing the incorrect cells to die off from their own starvation, and the incorrect chemistries to become useless and breakdown and be eliminated naturally by the body. Provide the correct domino effects to provide the correct results of cells and chemistries and potential "Illnesses" will not evolve.